So far in the 2018/2019 season, Ruben Neves already competed in 37 fixtures. Standing 1.8 meter high, Ruben Neves is tinier, when looking at the average height in his team. He prefers to play with his right foot, as do 71% of his teammates. At present, Wolverhampton Wanderers is leading in Uhrencup, while in Premier League (United Kingdom) they are in eighth place. Since Ruben Neves came into world in 1997, to be more precise March 13th, the midfielder is three years younger than Wolverhampton Wanderers'' average player. He plays with the jersey number 8. His best season was Championship 17/18 (United Kingdom), because in this year he had his highest success in terms of both match presence and goals. 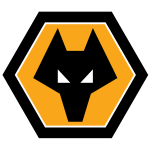 Wolverhampton Wanderers has six more midfielders in their squad, namely Morgan Gibbs-White, Adama Traore, Elliot Watt, Ryan Giles, Pedro Goncalves and Joao Moutinho. Ruben Neves weighs 80kg which is 5kg more than his team's average heftiness. Besides Wolverhampton Wanderers, Ruben Neves is at Portugal's command, too. In the recent term, he managed to find the net four times and provided four times additional assists which accounts for 7.3% of Wolverhampton Wanderers'' goals in Premier League 18/19 (United Kingdom). He scored an average of 0.1 goals and provided 0.1 assists per game so far, marking a slightly improved performance when compared to last season, when he had 0.1 strikes and 0.1 assists per match. His record stay with a club is FC Porto (Portugal) with three years and a day. As for winning percentages, Ruben Neves won with Wolverhampton Wanderers only 0% of their home matches (100% in total) in Uhrencup and 80% of their home matches (40% in total) in Premier League. Wolverhampton Wanderers enjoys a 2-game winning streak during the last 2 games of the current season. 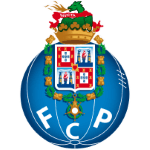 The briefest time his spent on a team counts five months in FC Porto (Portugal). Already 39 times a card was given to him in his tenure. Ruben Neves changed three clubs throughout his career as professional. Just seven days ago he played his latest match. 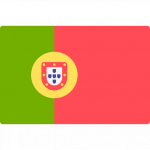 He was contracted to a few clubs during his professional career, one of them being FC Porto, for whom he played before coming to United Kingdom. Altogether, Ruben Neves was substituted in 45 and out 36 times. Currently, he left the pit more than he entered it which holds true for last season as well.